The SANIACCESS line allows double direct access to the basket, in case of misuse (introduction of prohibited bodies) and pressotat in case of maintenance. 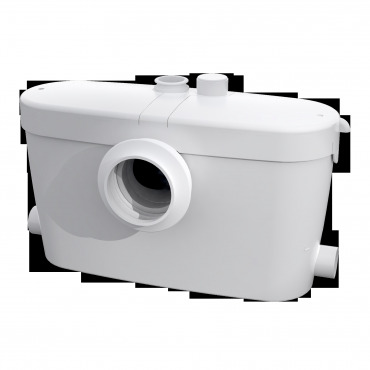 The SANIACCESS 3 allows the drainage of the water of an entire bathroom (toilet, bidet, wash-basin and shower) up to 5 m in height or up to 100 m horizontally. 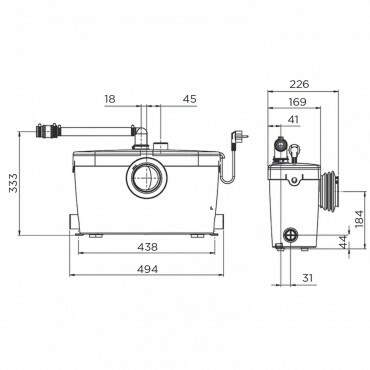 Equipped with a double-access hatch, the SANIACCESS 3 facilitates maintenance interventions in case of blockage, without the need to disassemble the device or empty the tank! This is one of the quietest lines of grinders on the market with only 46dB (A). Thanks to its smooth contours the SANIACCESS 3 easily fits into different spaces. The SANIACCESS 3 can be fitted to a traditional bowl. 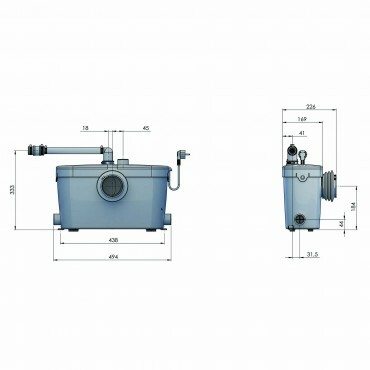 Can be installed with ease, without any modifications and will drain your wastewater and sewage up to 5 meters vertically or 100 meters horizontally. 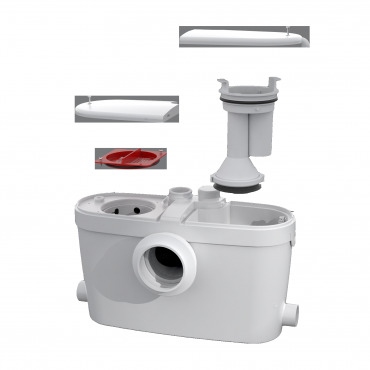 Thanks to its two intakes, the SANIACCESS 3 can discharge the waters of a toilet, a bidet, a washbasin as well as a shower. The SANIACCESS line is only available from plumbing wholesalers.